Every time a terrorist is caught, there begins the ordeal of liberals from all walks of life standing up collectively for the human rights, justice and general comfort of the caught 'human' It is obviously hard for the less-evolved-blood-thirsty right wingers to understand this concern, and we can't keep fighting forever on these issues. There's only so many debates you can watch on NDTV, right? This issue needs to reach a resolution. 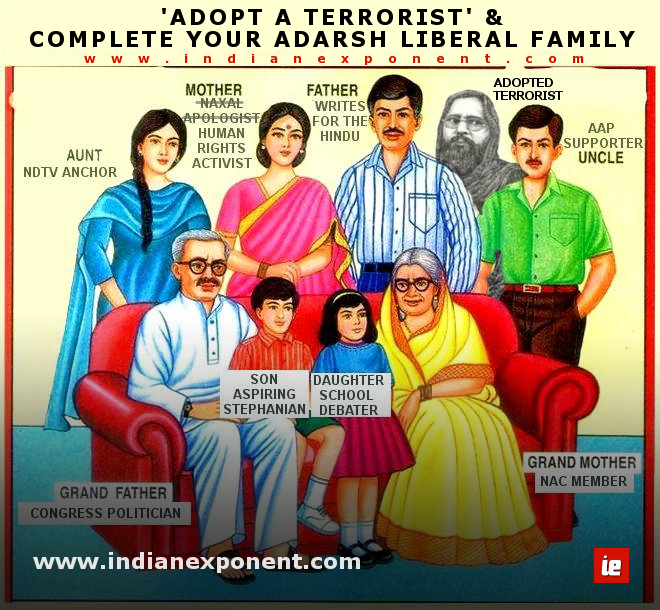 India can take lessons from older democracies, like USA which came up with creative solutions like "Adopt A Terrorist Program" specially designed for the liberals. Our administration takes these matters seriously, and your opinion was heard loud and clear here in Washington. You'll be pleased to learn that, thanks to the concerns of citizens like you, we are creating a new division of the Terrorist Retraining Program, to be called the "Liberals Accept Responsibility for Killers" program, or LARK for short. In accordance with the guidelines of this new program, we have decided to place one terrorist under your personal care. Perhaps you are correct in describing these problems as mere cultural differences. He will bite you, given the chance. We understand that you plan to offer counseling and home schooling. Your adopted terrorist is extremely proficient in hand-to-hand combat and can extinguish human life with such simple items as a pencil or nail clippers. We do not suggest that you ask him to demonstrate these skills at your next yoga group. He is also expert at making a wide variety of explosive devices from common household products, so you may wish to keep those items locked up, unless (in your opinion) this might offend him. Ahmed will not wish to interact with your wife or daughters (except sexually) since he views females as a subhuman form of property. This is a particularly sensitive subject for him, and he has been known to show violent tendencies around women who fail to comply with the new dress code that Ahmed will recommend as more appropriate attire. I'm sure they will come to enjoy the anonymity offered by the burka - over time. Just remind them that it is all part of "respecting his culture and his religious beliefs" - wasn't that how you put it? Thanks again for your letter. We truly appreciate it when folks like you, who know so much, keep us informed of the proper way to do our job. You take good care of Ahmed - and remember...we'll be watching. Good luck! If you haven't guessed it yet, we're just blowing some steam.